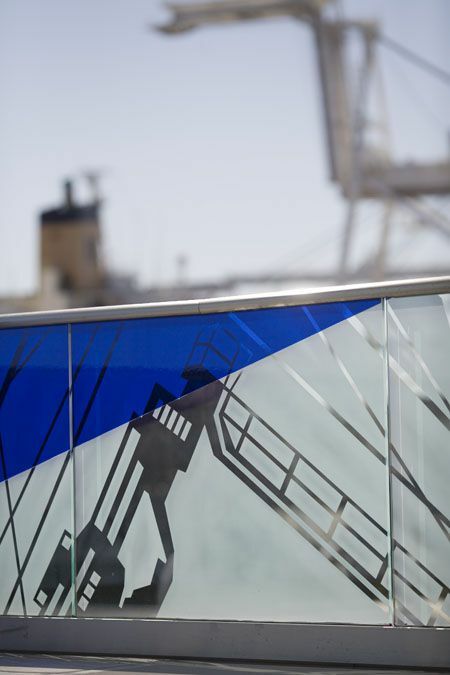 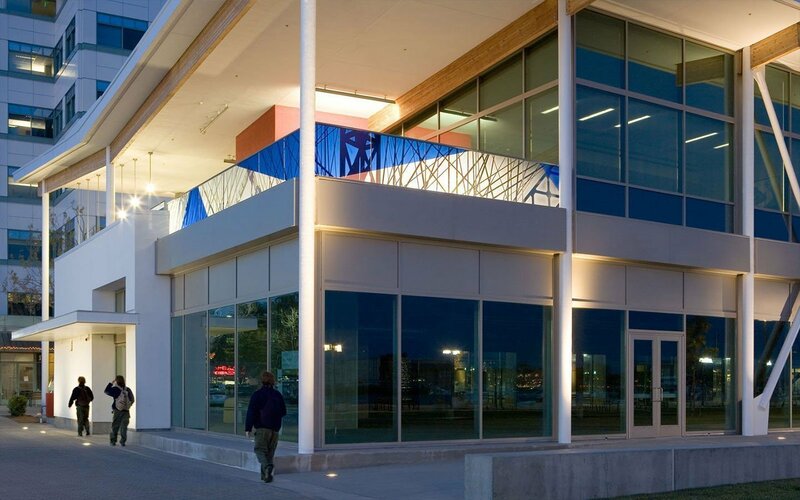 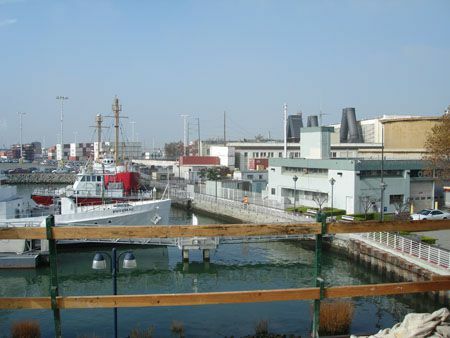 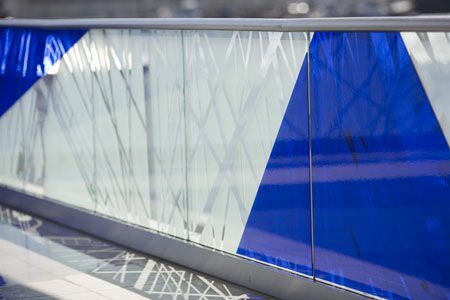 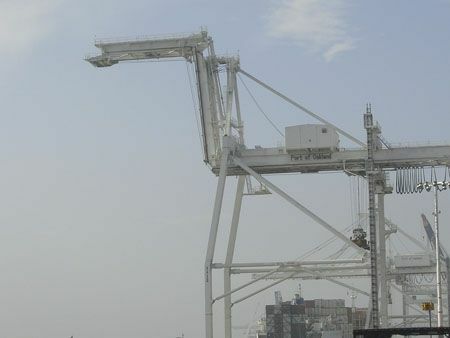 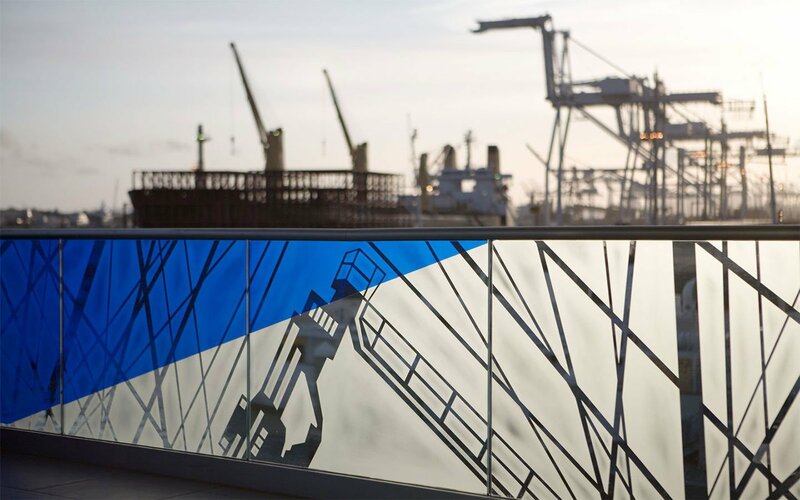 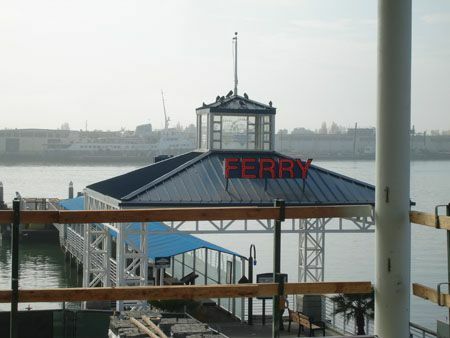 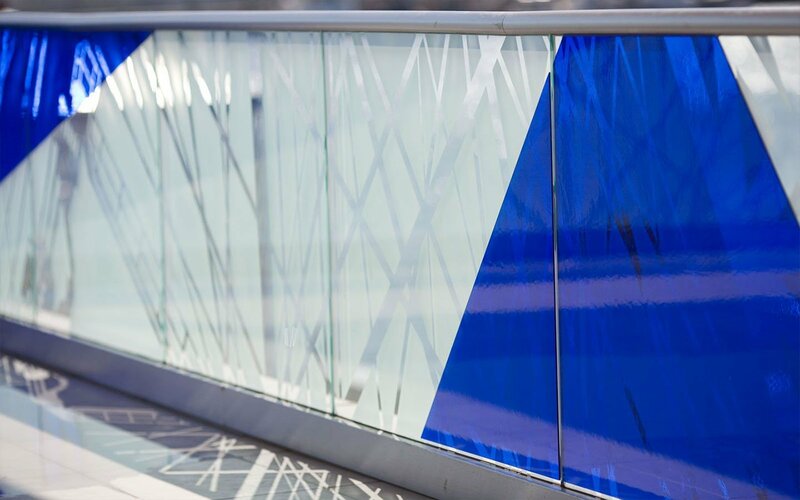 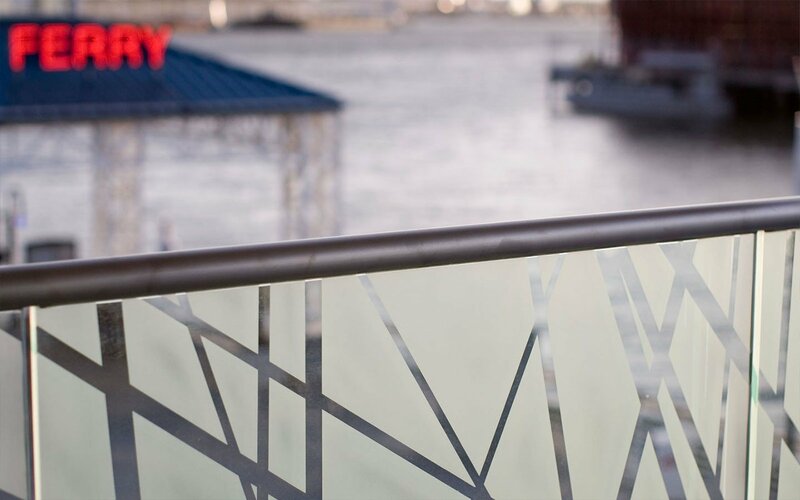 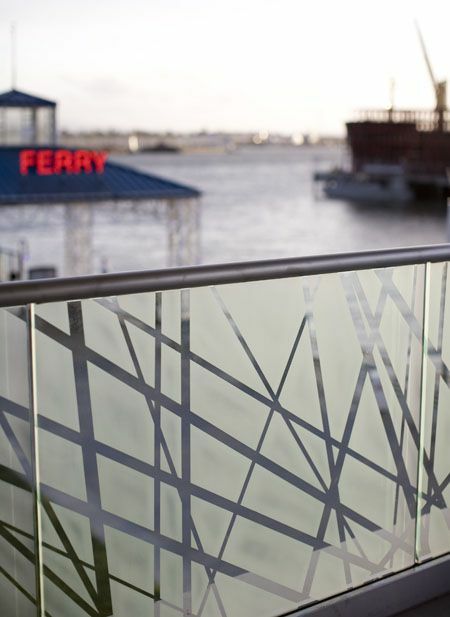 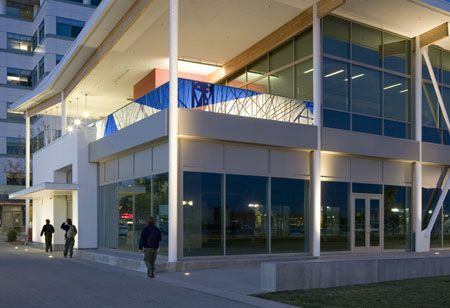 A stainless-steel handrail frames an etched and laminated public art piece that reflects the dynamic maritime cultural heritage and transportation goals of the Port of Oakland. 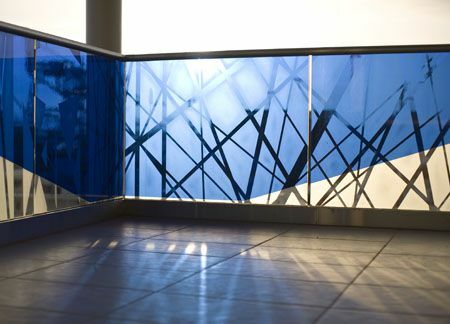 The concept of the piece creates a dialogue with the architecture while simultaneously embracing abstract imagery relevant to Oakland. 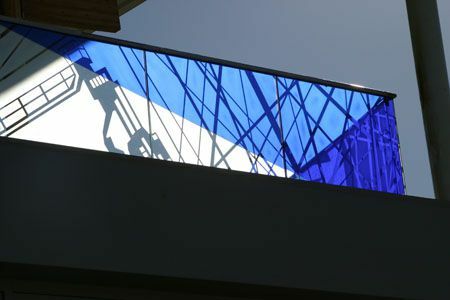 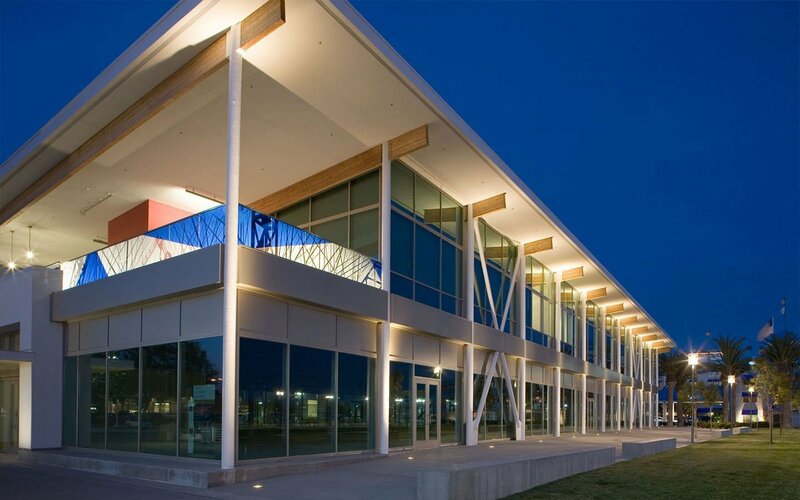 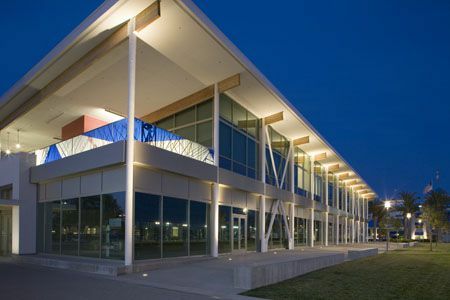 The design incorporates specialty etching of tempered glass that creates delicate shading and texturing and lamination of German New Antique (GNA) colored glass. 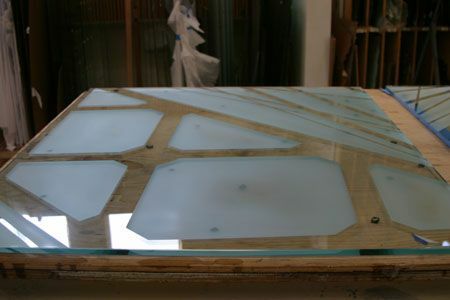 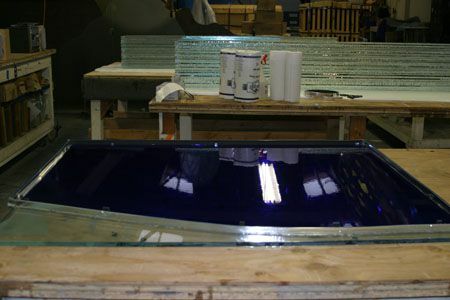 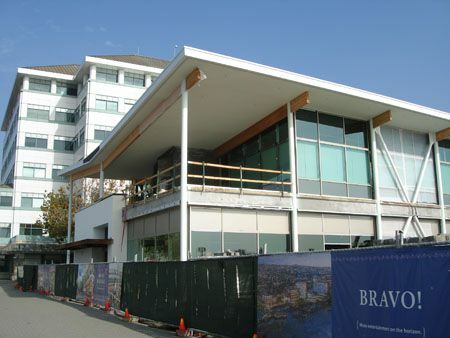 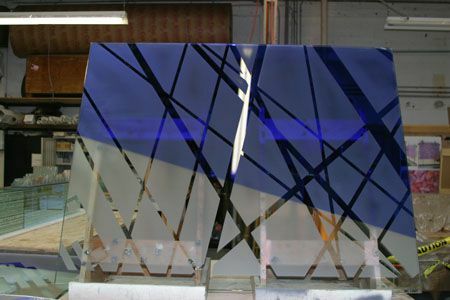 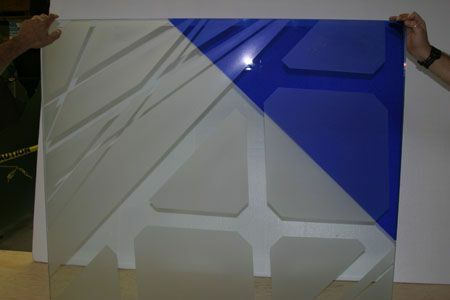 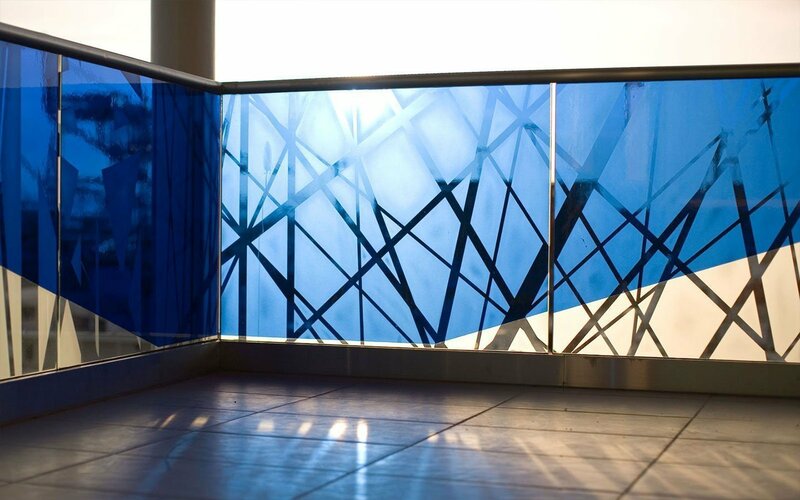 Each panel has two layers with etching on one layer and the lamination of GNA glass on the other.